The Greek name for a little bird, also translated as “early wing” or “first bird,” it supposedly existed during the Jurassic Period. 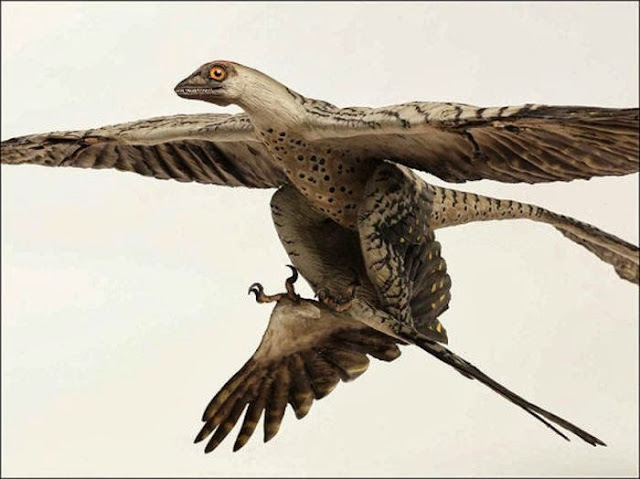 A fossilized feather was discovered in 1861 in Solnhofen, Germany, where high-quality lime deposits were mined for over a century. 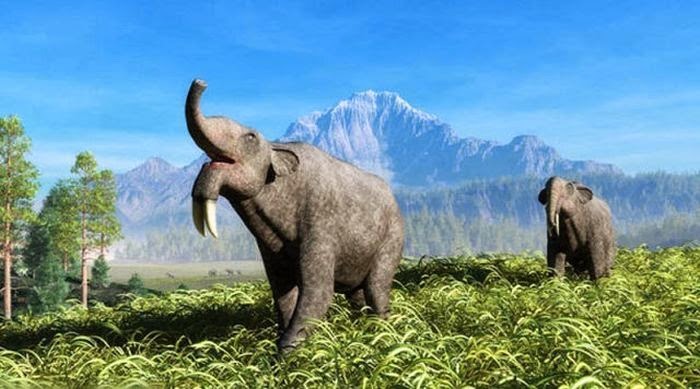 Also called a “hoe tusker” or “terrible beast,” the remains of these prehistoric mammals that resemble modern-day elephants were discovered at major hominid excavation sites at Lake Turkana in Kenya. Its name means “two-form tooth” which is the result of having two distinct types of teeth in its jaw. These creatures supposedly had great eyesight and formidable claws to hunt fish, squid or lizards. 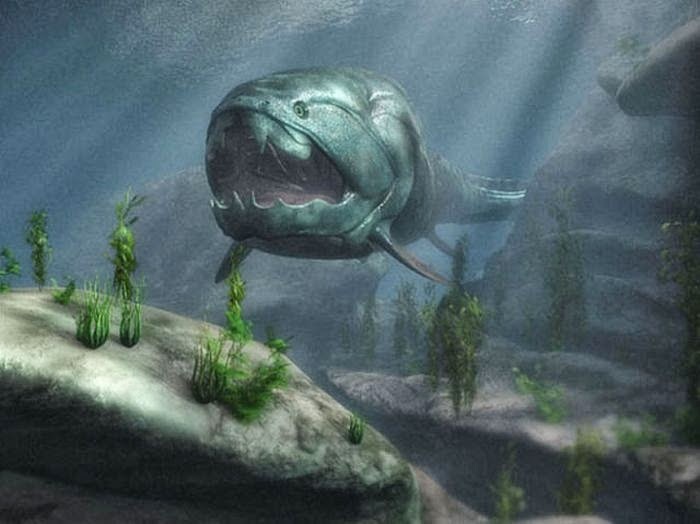 Also called “Dunkle’s Bone,” this was one of the largest armored jaw fishes to have ever roamed the Earth. Considered one of the fiercest predators in the ocean it could measure up to 10 meters and weighed 3.6 tons. 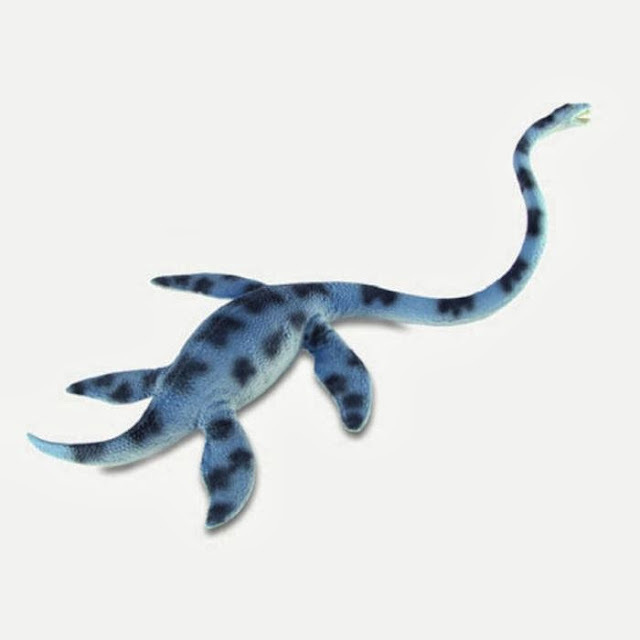 Elasmosaur, which means “thin plate,” could have been around 30 feet in height and 46 feet in length. 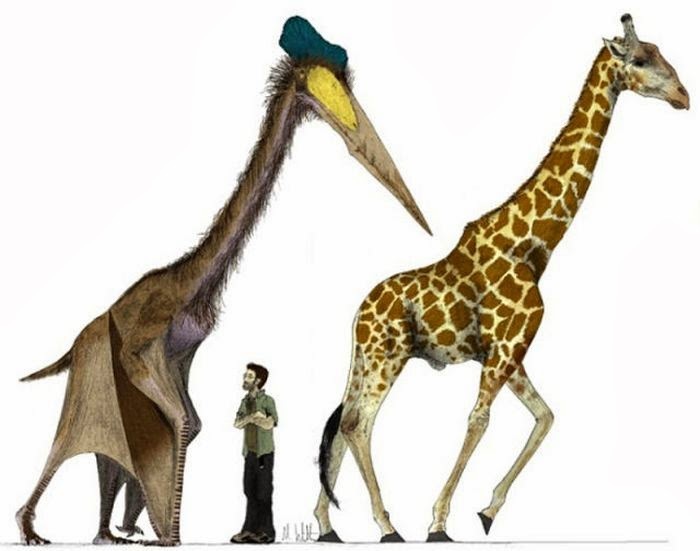 Most of its length was in its neck, which was roughly 25 feet long, or 4 times larger than the neck of a giraffe. 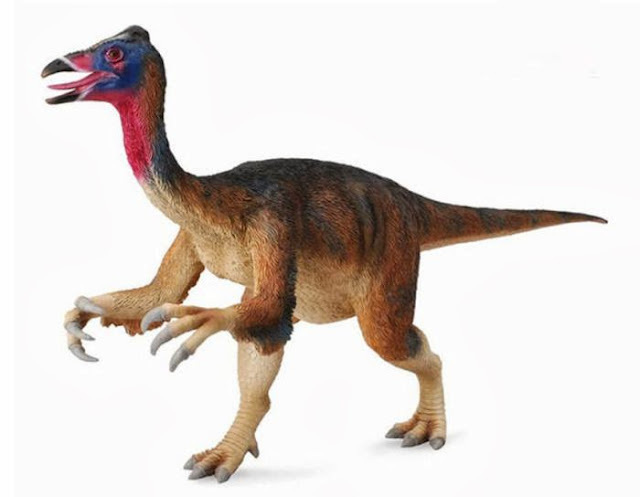 When it was first reconstructed, scientists made the mistake of putting its head on the wrong end due to its funny shape. 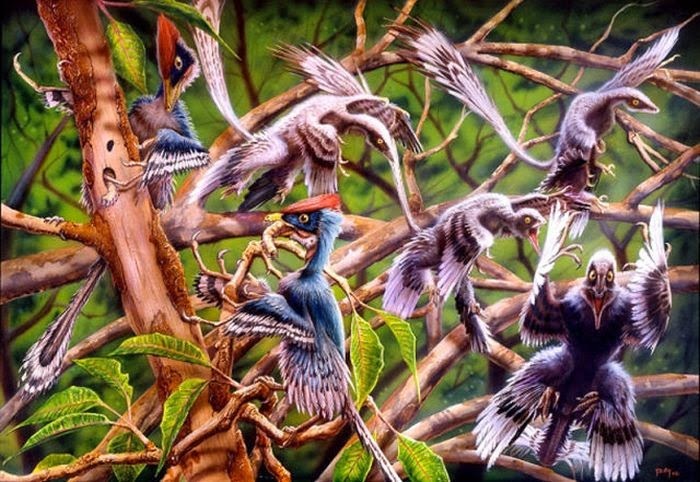 Though Archaopteryx was credited as the “first bird,” Epidendrosaurus or “lizard of the tree” was the first reptile to be closer to a bird than a dinosaur. It was about six inches long and used its long arms and clawed hands to pry on insects from tree bark. A small-feathered dinosaur that existed once in the Inner Mongolia region of China, Epidexipteryx or “display feather” is the earliest known representation of ornamental feathers in the fossil record. 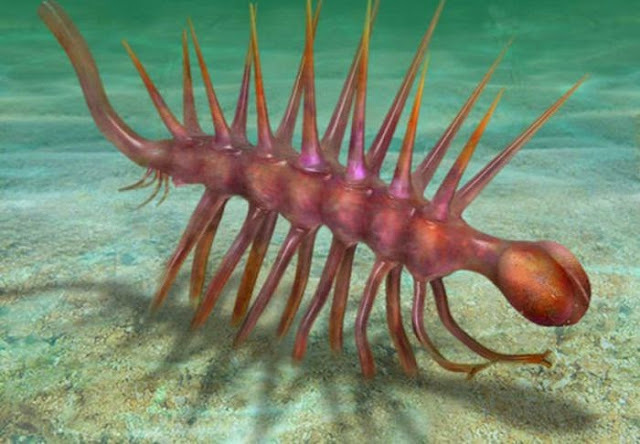 A relative of modern arthropods, Hallucigenia is one of the strangest creatures in the fossil record. Less than 3 millimeters long, it has a bulbous round head connected to its cylindrical trunk. Though it was previously thought that it stood on its spines, it was later discovered that the tentacles are actually feet, making the Hallucigenia the ancestor of today’s velvet worms. 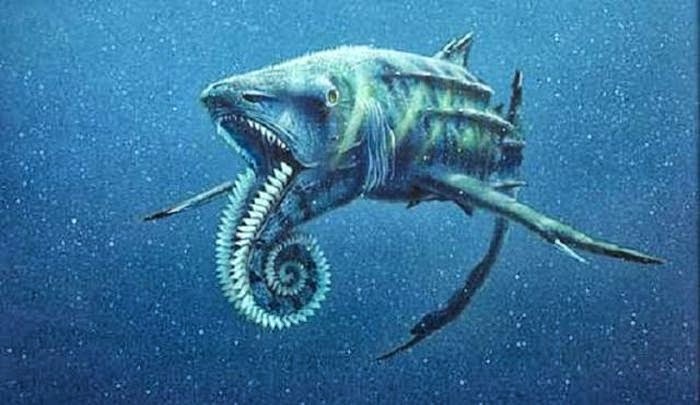 Also known as “spiral saw,” this shark-like cartilaginous fish first arose in the oceans of the late Carboniferous era. However, the only surviving evidence of its existence was a tight curled-up coil of triangular teeth. This bizarre structure was attached to the bottom part of its jaw, though how it was used still remains a mystery today. Some speculations are that it was used to grind shells, while others believed that the coil could be unfurled like a whip to spear unfortunate prey. 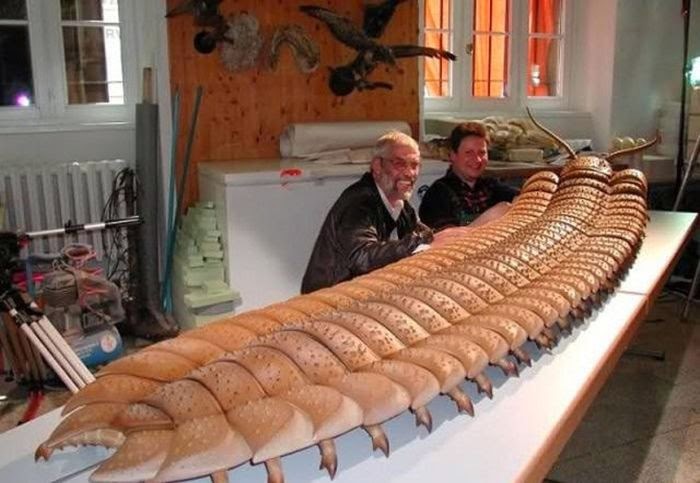 This extinct species of sea scorpions had an estimated length of 2.5 meters, one of the largest arthropods ever discovered. Although it was dubbed a “sea scorpion,” it supposedly lived in the freshwater rivers and lakes of present day Germany. 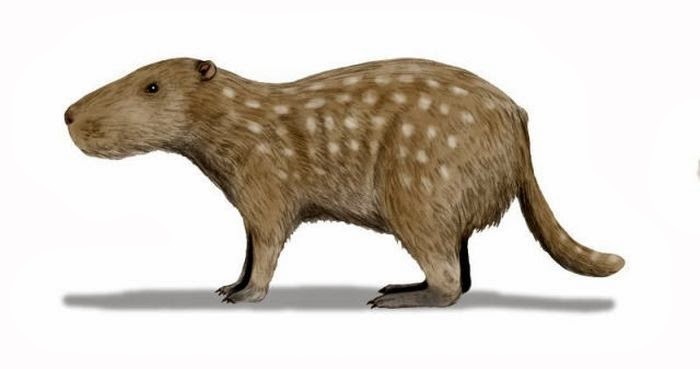 Related to the modern pacarana and very closely resembling a capybara, these creatures were the biggest rodents on the planet weighing up to 1000kg. 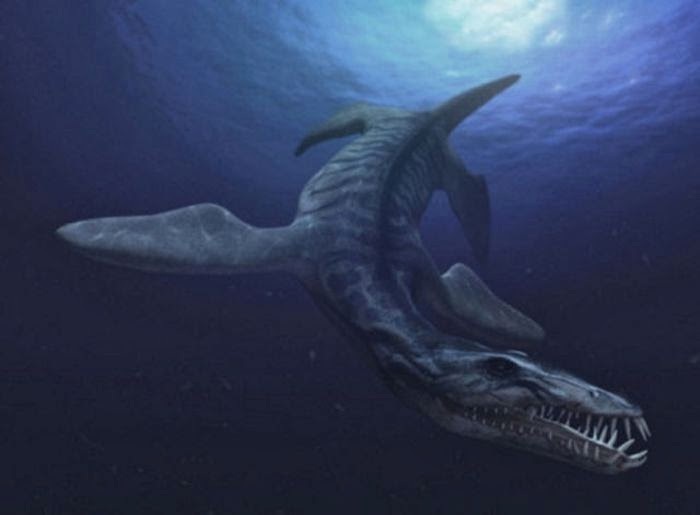 Also known as “smooth-sided tooth,” this marine predator lived on a diet of fish, squid, and other sea reptiles. Bigger than a sperm whale, its skull was 16 ft or nearly 1/4 of its body. 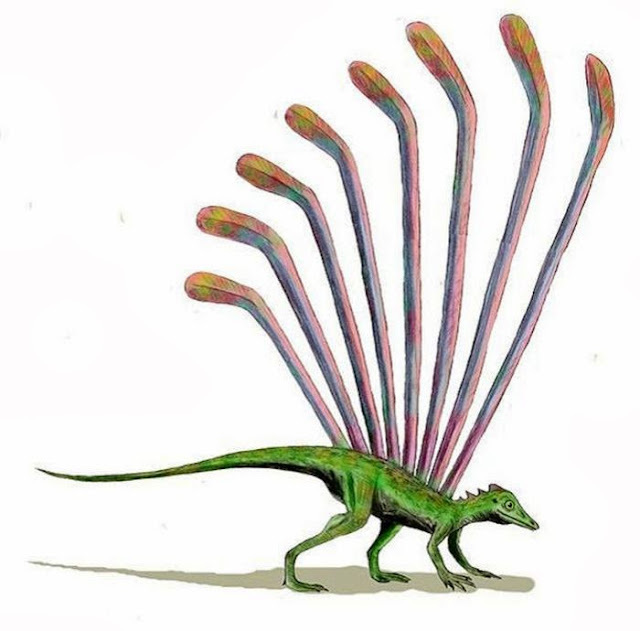 Known as the first archosaur to have been able to glide or parachute, its famous for the elongated pair of scales along its back, with the anterior ones resembling feathers. 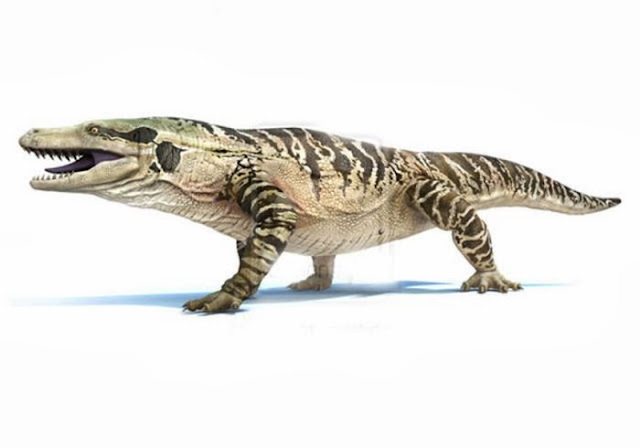 Sometimes called the giant ripper lizard, Megalania fed on a diet of mammals, snakes, other reptiles, and birds. The nearest modern day relative is the Komodo dragon that inhabits the Flores Islands in Indonesia. Microraptor or “one who seizes” was a very small dinosaur and paleontologists have long debated the use of its four wings – whether they were for parachuting from trees or taking off from the ground. 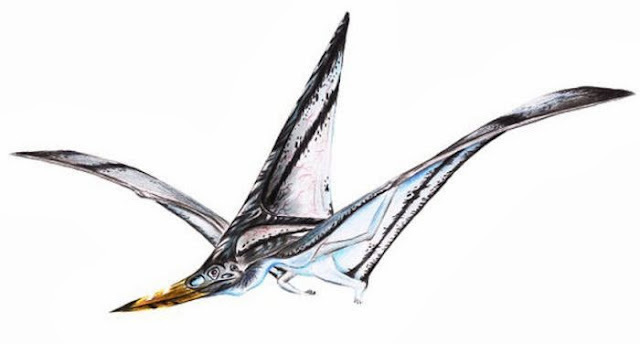 An ancient genus of the Pterosaur, its fossils were found in the mid-western sections of the US covered under the shallow water of the sea. The name, which means ‘naked reptile,’ was given by Othniel Marsh in 1876. 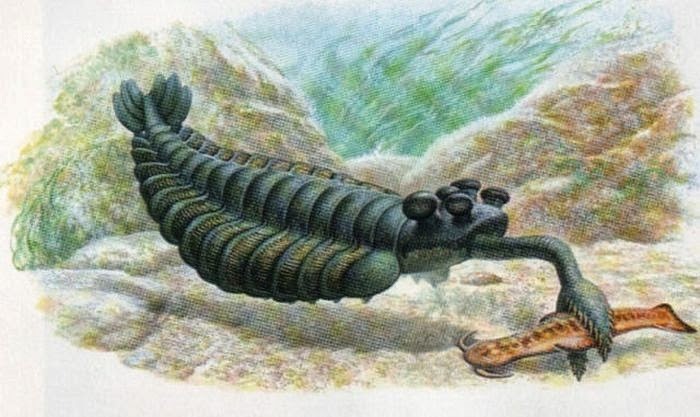 Considered one of the strangest creatures to have ever lived, it had 30 legs, 30 flippers, a nose like an elephant’s trunk, and a lobster-like claw. 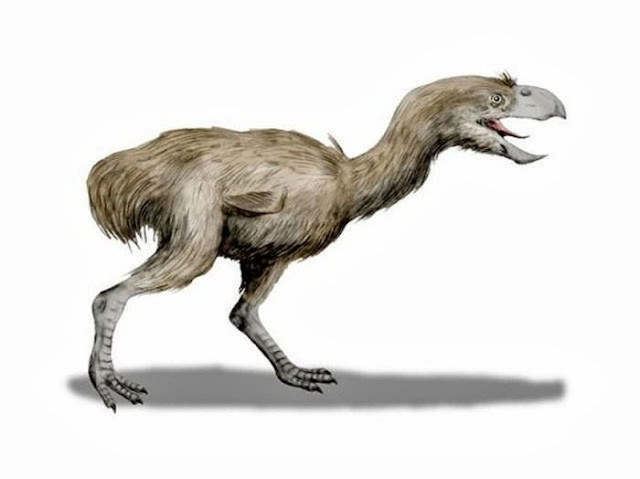 Colloquially known as “terror bird,” this was the largest flightless predatory bird to have ever lived. 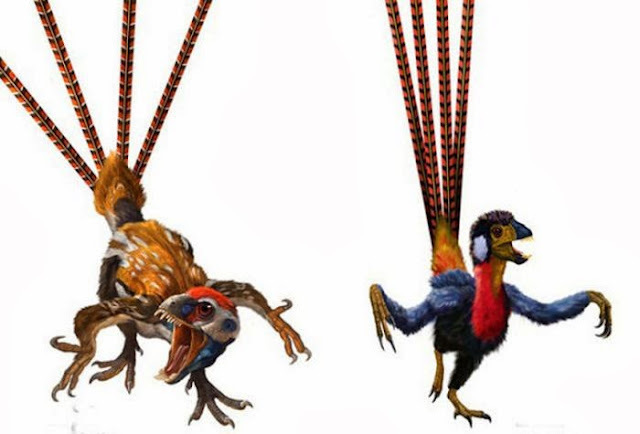 It fed on small rodents and mammals and could supposedly run at speeds of up to 40 mph. 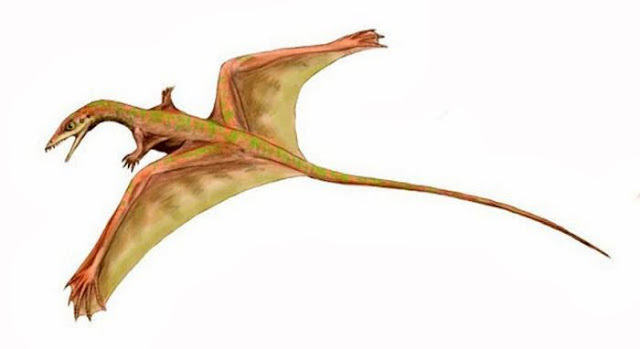 Also known as Pterosaurs, it had a wingspan of 4 feet and may have weighed between 5 to 10 lbs. 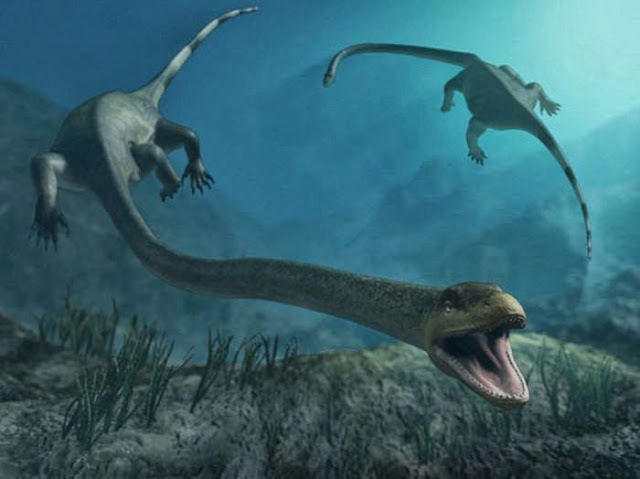 Its long, curved beak with numerous bristle-like teeth allowed it to feed on a diet of plankton and small crustaceans. The biggest pterosaur to ever take to the skies, it supposedly did not have any feathers. 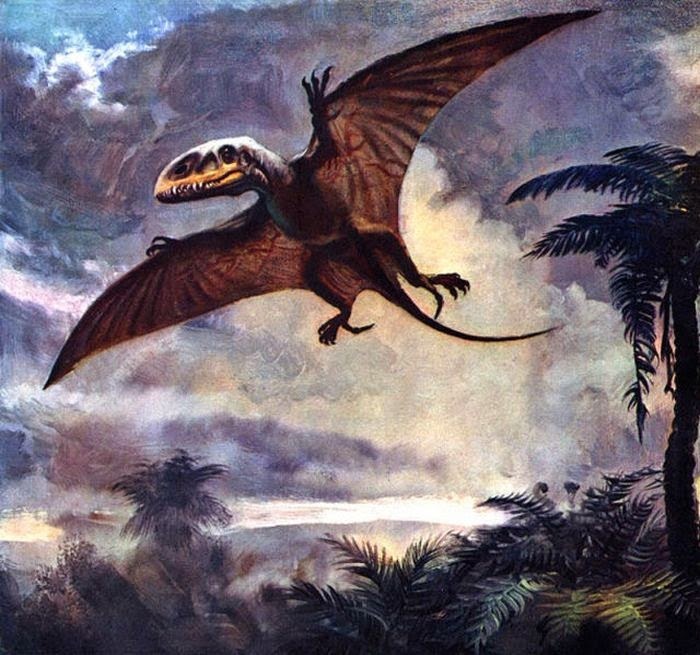 Though it had a wing span that exceeded 30 feet, it took off using both its hind and front legs and flew without flapping its wings. 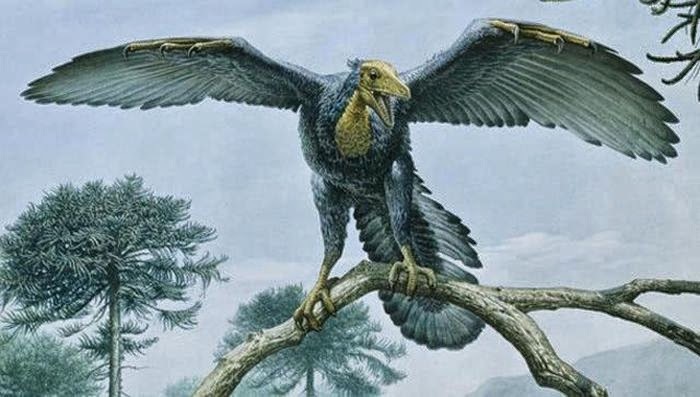 Greek for “Sharov’s wings,” this gliding reptile that inhabited the woodlands of Central Asia was about one foot long and mostly fed on insects. Not capable of powered flight, it would merely glide from tree to tree something like a flying squirrel. 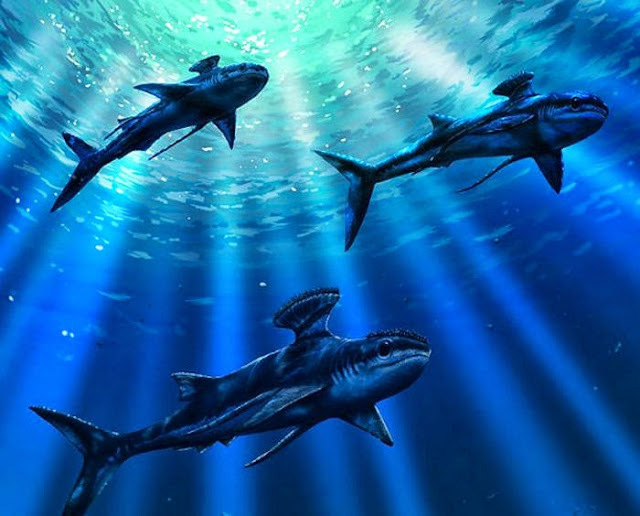 An extinct genus of prehistoric sharks, Stethacanthus or ‘chest spike,” was about 6 feet long with a strange looking back growth on males. This small protrusion or ‘ironing board,’ could have been used to frighten larger predators. The Greek word for “long necked one,” this prehistoric reptile was easily over 20 feet long, with a narrow neck that could extend out for up to half its length. 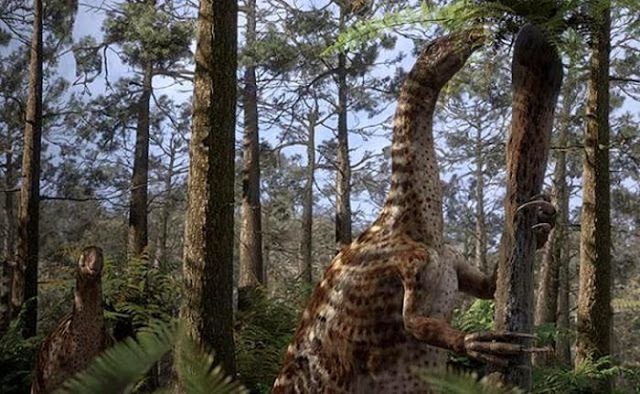 The “reaper lizards” may have roamed Mongolia, China, and the United States and due to their long neck, pot belly, four-toed feet, and beaky mouth, scientists at first thought they may be not one but several creatures. 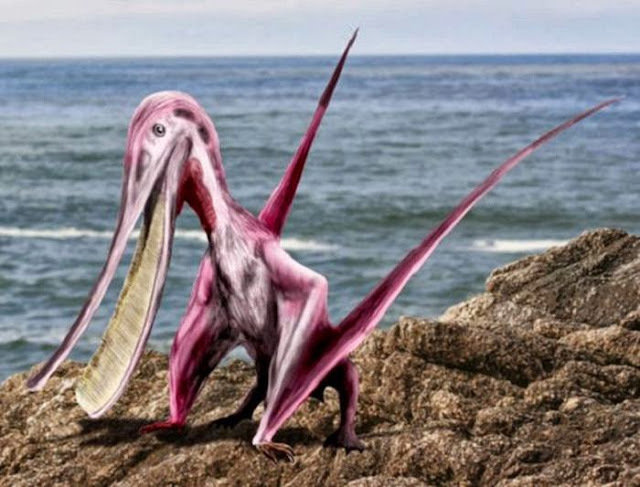 3 responses to "Strange Creatures That Existed in Prehistoric Times (25 pics)"